Chelsea M. Cameron is a New York Times and USA Today best selling NA/YA writer from Maine. Lover of things random and ridiculous, Jane Austen/Charlotte and Emily Bronte Fangirl, red velvet cake enthusiast, obsessive tea drinker, vegetarian, former cheerleader and world's worst video gamer. When not writing, she enjoys watching infomercials, singing in the car and tweeting (this one time, she was tweeted by Neil Gaiman and nearly died). She has a degree in journalism from the University of Maine, Orono that she promptly abandoned to write about the people in her own head. More often than not, these people turn out to be just as weird as she is. 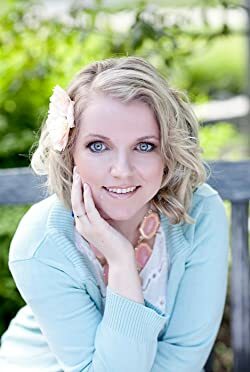 She is the author of: Nocturnal, Nightmare, Neither and Neverend (The Noctalis Chronicles), Whisper, the first book in the Whisper Trilogy, My Favorite Mistake, My Sweetest Escape, Deeper We Fall, Faster We Burn, Sweet Surrendering, Surrendering to Us and Deep Surrendering. For more updates, follow her blog at chelseamcameron.com, on twitter: @chel_c_cam, or on Facebook. Please enter your email address and click the Follow button to follow Chelsea M. Cameron! Fin and Marisol have been through hell and back. It's time to start their happily ever after. But will everything finally fall into place for the couple? Or will the challenge of combining two separate lives be too much?